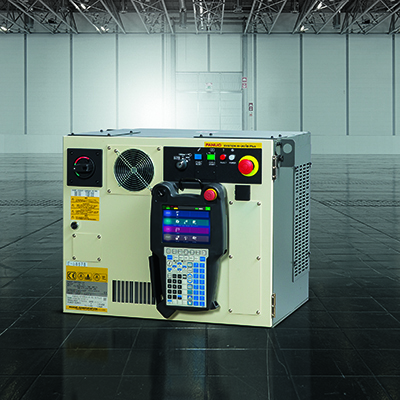 The R-2000 range's all-round model, the flexibility offered by this 6 axis high-payload model sets new standards in almost every industry. 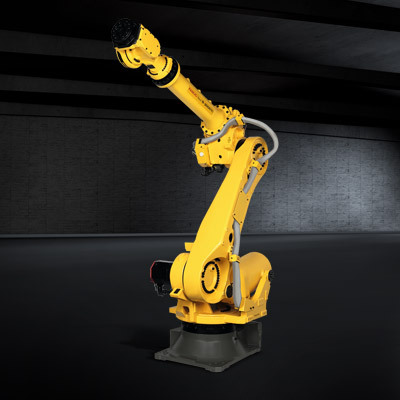 Equipped with a thin wrist and capable of delivering excellent cycle times, it makes a nimble spot welding robot on automotive and similar applications. 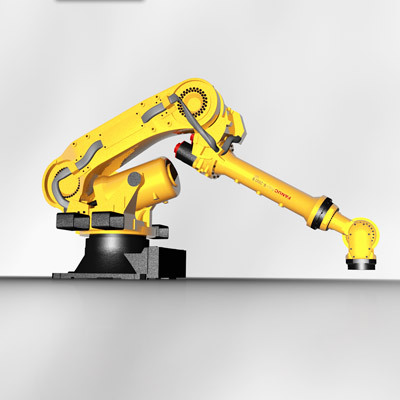 It has also been designed to maximise use of space and enable it to work in close proximity to other robots. Whatever the application, with its 165 kg capacity this model is a great choice for tasks involving high payloads. 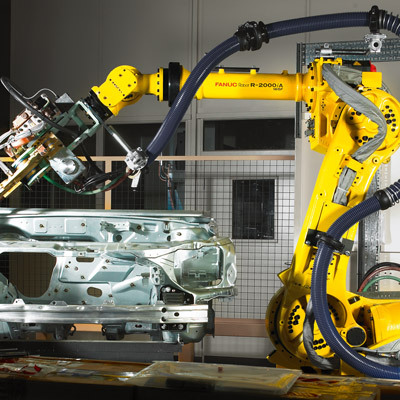 The FANUC R2000iC/165F is ideally suited to high output automotive spot welding. This model benefits from a compact dressout package and a small wrist. 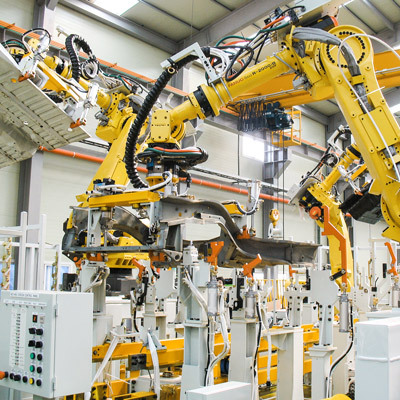 This smart feature helps to reduce cycle time and enables more flexible cell designs by allowing several robots to work together in close proximity. 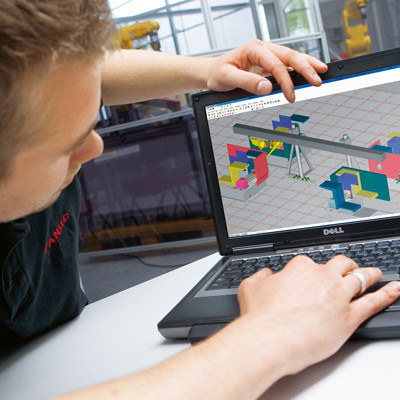 With RoboGuide software we simulate your automation for you. That way you know exactly what you get, how it works and what benefit on productivity, cost and cycling times you can expect. Looking for a higher payload? 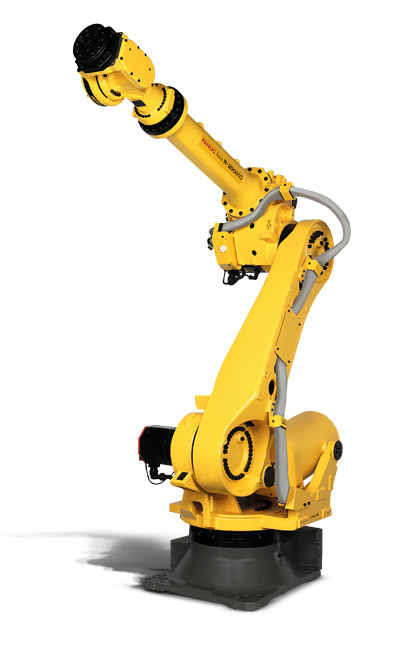 Discover the new R-2000iC/210F - the world's most successful industrial cutting-edge robot.